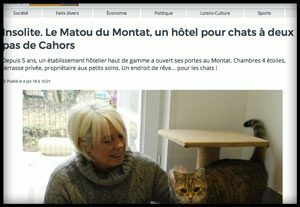 Welcome to Au Matou Du Montat Cattery situated in Le Montat, near Cahors, Lot , South West France . The cattery is easily accessible via major roads and motorway (RN820 & A20). This is a new, modern cattery offering an exceptional service with a high standard of care and accommodation. It is important that Au Matou du Montat is the perfect choice for you. You would be more than welcome to see the cattery and all that it has to offer to you and your cats. As this is our home, all viewings, arrivals and collections of cats will be by appointment only between the hours Mon-Fri 9am-11am, 3pm-6pm and Sat 10-11.30am, 2-4pm (Sunday/Bank Holidays – closed), to avoid any waiting around and ensuring that you and your cat receive my undivided attention. We do offer a discretionary out of hours service so that you can pick up or drop off your cat, but this is at our discretion and may incur a fee. Situated in Le Montat, near Cahors, (46) Lot. Please contact me by telephone or email to arrange an appointment. Welcome to Au Matou Du Montat Cattery situated in Le Montat, Lot. The cattery is easily accessible via major roads and motorway (RN20 & A20). 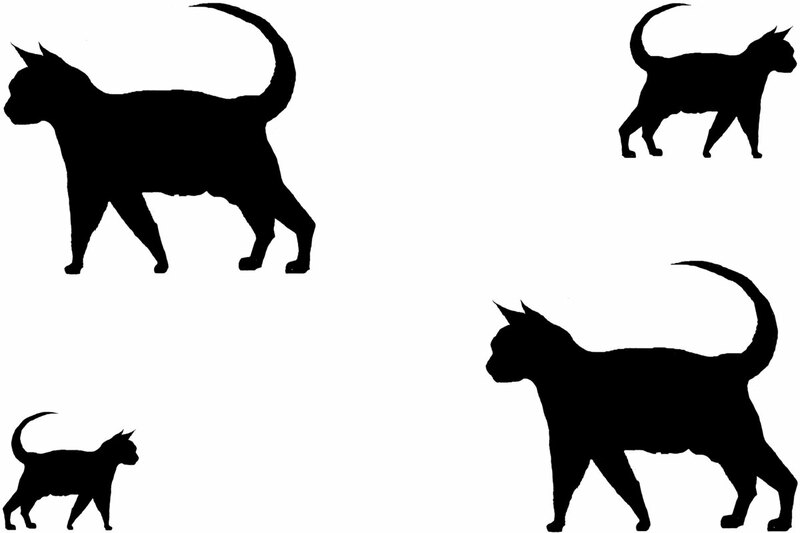 This is a new, modern cattery offering an exceptional service with a high standard of care and accommodation.